Here on NG a character's chakra pool is one of the most flexible things you can manipulate because despite the starting levels of chakra, you can continue to enhance it until you max out on THAT rank's chakra cap. After you max out, you cannot keep adding chakra, if you do, you're wasting your time because even if you train while being at your max, the points will just stay the same until you rank up and are granted the ability to progress your chakra. By maxing out on your current chakra pool, you will earn the chakra pool of the next rank. So forth and so forth, an example would be a character at Jonin level, a jonin level starts at 500 chakra, if they continue to train, they can max their cap which is 600 chakra points. When they get to the next rank, they can start with 600. They will only be able to start at 600 if they maxed out on their chakra, if not, they will begin at the same level as their previous rank. So if you're a jonin with 520 chakra, and you rank up, your chakra is still 520 because you never bothered to increase it anymore or max it out. As a special gift for those who max out on their caps, they will be automatically granted 5 CP at the beginning of a new rank. In red you will see each rank’s base Chakra level and in blue you will see the highest you can train your Chakra to at any given rank. How do I train my chakra? To Train Chakra and increase your pool, simply create a training thread in which you train your Chakra Control. Typing 400 words you earn a total of 2 CPP (Chakra Pool Points). Below you will find a list that shows the required word count for the amount of CPP you will receive. Naruto Gaiden does not have a limit on how many jutsu a shinobi can obtain, help yourself to being greedy like Orochimaru! However, there is a standard to what jutsu you can use based on your classification as a shinobi. Your rank basically determines what kind of jutsu you are capable of performing. This system is also related to technique ranks so make sure you give that a read as well. Someone of this level is considered a soon to be shinobi, though they aren't considered one yet either. An academy student is tasked with the easiest techniques known to man. They are only capable of being taught E rank techniques by anyone of higher rank. 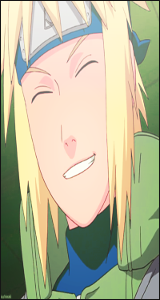 The lowest rank a shinobi can have, and also the starting career of all shinobi. Most genin do not poses large chakra pools, to counter this they must be suffice, and intelligent with how they manage their energy on dangerous missions. A genin can learn D,C, B, and some A rank techniques. D ranks will not drain them to much of their chakra, but C-A can be taxing on them. C-A rank techniques have to and can be taught to a genin by jonin of any rank. A chunin can teach a genin C rank techniques only. Genin can teach themselves E-D rank techniques. A remarkable achievement in the life of a shinobi, not only has a ninja ascended, but they have been mentally solidified from their days as a genin. A shinobi of a chunin status is labeled a leader to those that are his equal and as well to those beneath him. 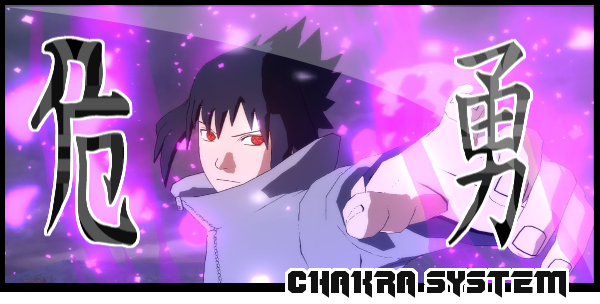 A chunin is capable of performing E-A rank techniques, they are more qualified to perform C rank techniques, and a few A rank jutsu. Most importantly, chunin are advised to use C-rank jutsu, because even though their chakra pool has increased, it can still drain rapidly. Chunin have the capacity to teach themselves E-C rank skills; they must be taught by a jonin, or another chunin for a specific skill they want. This ranges from B to A rank jutsu. A shinobi who is worthy of Special Jonin status has the ability to lead his team to well-planned victories where there are no tragedies lost on his team. Being a jonin, one must be the most competent, and experienced, most importantly even without a team a shinobi of this remarkable class is usually sent on dangerous missions that could last months. A jonin is capable of teaching himself E-A rank techniques. He has enough chakra to carefully administrate during dangerous battles that could cost his life, Jonin are also tasked with teaching their team of lower ranked shinobis jutsu that could possibly range from E-A rank skills. If a jonin of this status wishes to learn S rank jutsu, he must consult with a higher ranked jonin. These shinobi are ranked higher than the majority, their what we call the big fishes in the sea. Jonin are exceptionally powerful individuals, and can prove to be formidable to an S rank opponent. Jonin are capable of teaching themselves E-S rank jutsu. Considered a god of shinobi to many through out the world, individuals of this level are capable of performing jutsu of mass-destruction. They can even create new possibilities they will send chills down the spines down many enemies. Individuals such as jonin, anbu, sanin, sage and kage are capable of any rank. Similar to the basic Clone Technique, this technique creates copies of the user. However, these clones are corporeal instead of illusions. The user's chakra is evenly distributed among every clone, giving each clone an equal fraction of the user's overall power. The clones are capable of performing techniques on their own and can even bleed, but will usually disperse after hit by a strong enough force. The clones can also disperse on their own or be dispelled by the user of the technique. shadow clones can't be distinguished from the original with the Sharingan, Byakugan, Rinnegan or Rinne Sharingan. Shadow clones also seem to be able to think for themselves and feel the original's pain to some extent, as evidenced by Naruto's clones feeling pain when the Nine-Tails' cloak awakened while he and Kakashi were fighting Deidara. Despite being separated, clones still bear connections with their original. Tasks which require great concentration restrict the number of usable clones, and changes in the nature of the original's chakra signature will cause the chakra of the clones to resonate similarly. Here on Naruto Gaidan, shadow clones will have their own rule system. 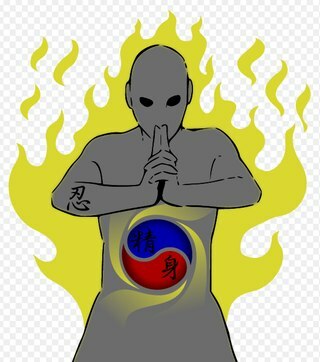 Shadow clones aren't based on ranks of a ninja but instead base on the character's chakra pool. This means the shadow clone technique is heavily based on the chakra pool system, one with little to no chakra can not use this technique. This chart above shows each rank of shinobi's clone cap and the chakra cost those many clones will take out of someone's chakra pool. This chart also include how long the clone will last in battle and outside battle. Now for any shinobi that wishes to conjure a single clone the cost would be one chakra points, while the duration time would still be the same for that said rank. Clones: can be summoned to preform hand-signs and build chakra, the start of a battle. 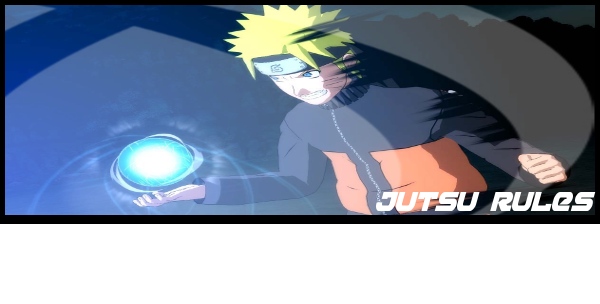 The clone can then be dispelled and the creator can automatically use the said Jutsu. Ex. Sasuke summons a clone > Clone does hands signs/building chakra > Clone is dispelled > Saskue preforms chidori. Traveling: A single clone can only move up to 50 meters, while on the other hand five clones would only be able to move 3 meters from the creator. This being said clones will be able to travel from land to land away from the creator. The only time this will be showed is during a spy mission created by a said kage for anbu members only. Actions: Clones will be able to preform all and every actions; this means clones can do whatever the creator can. Yes, this includes Taijutsu base moves. Role-Playing: When summoning any amount of clones, in or outside battle the creator (Role-Player) has to take account for each clone he/she creates. In battle if this little task isn't done, the clone's not taken account for will be voided. No ends or buts. Unless stated somewhere in the post the clone was standing off to the side - the clone will not voided. Damage Dealt by clones: All clone's will do 0.5 amount of damage, unless the clone is a special clone like elemental fused or other means (Sage, Bijuu, etc) clone will do 1.1 amount of damage. Taking Damage: All clones for every rank will take the same amount of damage before dispelling on it's own. This damage will be 2.0, this is the amount it takes to defeat any clone. This being said clones cannot be strengthen to be more durable. However special clones like Sage, Bijuu, and etc clones will have to take 4 amount of damage before their defeated. Taijutsu: When preforming Taijutsu clones will not receive any type of buff towards their overall physical limitations. Clones skills will be purely base off the creators own stats. Meaning if the creator is slow, the clone's will also be slow. No clone's can use the Eight-Gates technique's due to the reason clone can't withstand the chakra output. Transformation: Clones under the rank Chunin cannot use the transformation technique to turn into large summoning animals. Other then this, clones can transform into any weapon and animal, as long as the user has seen it before. This is where things get slightly complex because there is a number of possibilities that can happen with element jutsus. I would first like to give a simple over-view of chakra nature, this read is optional; however I still recommend you read it if you're unsure of some things. Let's get stated! Fire Release (火遁, Katon) is strong against Wind but weak against Water. Wind Release (風遁, Fūton) is strong against Lightning but weak against Fire. Lightning Release (雷遁, Raiton) is strong against Earth but weak against Wind. Earth Release (土遁, Doton) is strong against Water but weak against Lightning. Water Release (水遁, Suiton) is strong against Fire but weak againstEarth. If an elemental technique is put against another elemental technique of the same level, but of a stronger nature, then the technique with the superior nature will prevail. However, a technique with a weaker nature can overpower a technique with a stronger nature if the former is of a higher level. For example, fire can overpower a water technique if it is first strengthened by a wind technique. A similar principle applies in how technique of the same element interact, what is called counterbalancing (相殺, Sōsai). If two techniques of the same nature and the same level are used against each other, they will cancel each other out, as when Lightning Release: False Darkness is deflected with Lightning Cutter. Nature Transformation (性質変化, Seishitsu Henka, English TV: Change in Chakra Nature) is an advanced form of chakra control that entails the molding and defining of one's chakra into an innate kind of chakra nature, altering its properties and characteristics for use in techniques. Nature transformation is one of two necessary components for creating or modifying a technique, the second component being shape transformation. While nature transformation changes the nature of the chakra, shape transformation changes the actual form and movement, altering its abilities. Usage of the Truth-Seeking Balls. By using two or three basic natures simultaneously, one can create a completely new nature with unique properties that wouldn't exist on its own. 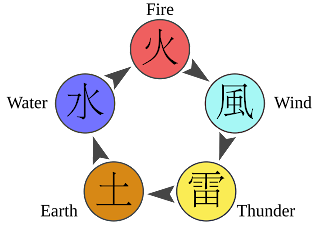 However, doing this requires a kekkei genkai or, if three natures are used, a kekkei tōta. In the anime, it is further stated that those with the ability to combine the elemental nature transformations possess an affinity for the chakra natures they must simultaneously use. The majority of people will start with one element, even with that one element it doesn't mean you can use the jutsu associated with the element. You must train to awaken the jutsu by learning a technique that has relation to it. The training system will work through a word count. By the time a ninja is Jonin, they can already use two styles of elemental ninjutsu. However, even if you are a normal ninja, it is possible to learn all element ninjutsu, and here's our system on NG to doing so. 500 Word count to train your element. Your first element is free, and is something you must dice roll for. You won't be able to choose your first element, it will only be achieved through a guessing system. Uchihas will naturally be geared to learn fire jutsu, so their first element will be fire, they must learn one technique to awaken the ability, and train for it. Uchihas are still allowed to dice-roll, and will have to dice roll for their second element. So again, Uchihas get a free ryo pass for their first jutsu which is fire, their second element has to be a dice-roll. Lastly, if you want kekkei genkai you have to dice roll for a kekkei genkai type to earn the ability, and even then you need to train and earn a technique so it can be used. People with Kekkei Genkai will have to dice roll for their blood line as well. This means you can't freely choose what you're born with, a person can be born with two kekkei gengkais as well, this will allow you to dice roll for not only one, but two. The chances can be slim or high, but what ever you get can't be changed. Chakra infusion allows players to increase the capabilities of a weapon they carry by infusing it with chakra. As long as a player has enough Chakra they can use any level of Chakra infusion as it is a simple technique. Subtract 0.5 from your current chakra pool. Prolonged infusion will take off 0.5 every post. Subtract 1.5 from your current chakra pool. Prolonged infusion will take off 1.5 every post. Subtract 2.5 from your current chakra pool. Prolonged infusion will take off 2.5 every post. Subtract 3.5 from your current chakra pool. Prolonged infusion will take off 3.5 every post. Subtract 4.5 from your current chakra pool. Prolonged infusion will take off 4.5 every post. In times of player versus player, whether it be story based, mission or in challenge mode, everyone will run under the same substitution system. 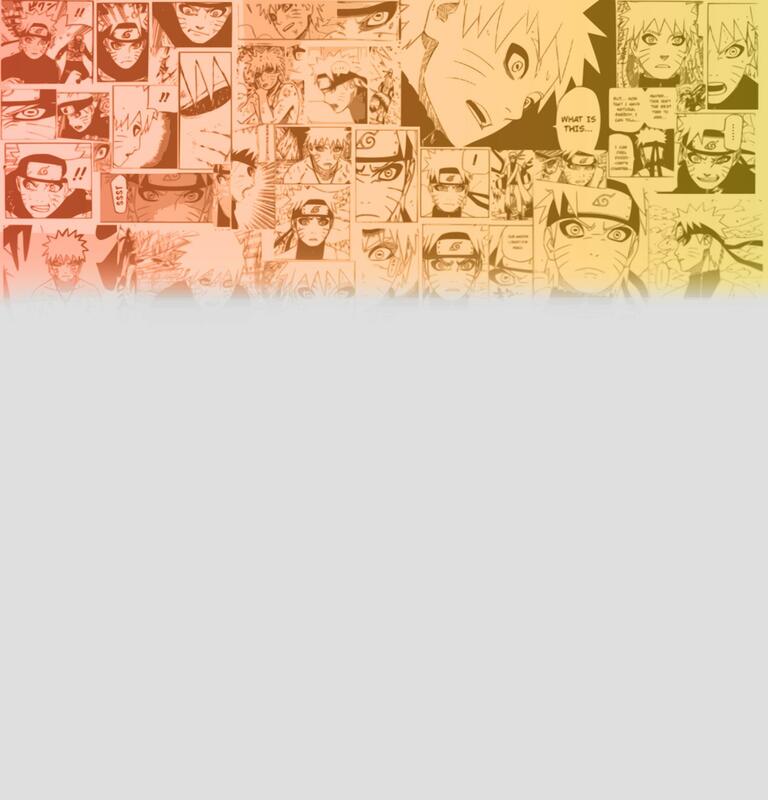 Using a substitution techniques will deduct 10 chakra points, Everyone can only use the jutsu three times in a battle, the first time it is used, it will remove 10 chakra points from your CP (chakra pool), and then you'll be forced to wait 5 posts to use it again. A second time for using this skill, a player is forced to use 15 chakra points, with a cool down of 6 posts. Finally, the third time it is used it will cost 20 chakra points with no cool down posts because it can no longer be used.